Finally finished, well almost. I have 5 stands of WB Orcs to complete the armies options. I will not paint those for awhile....nobody around me plays 15mm. 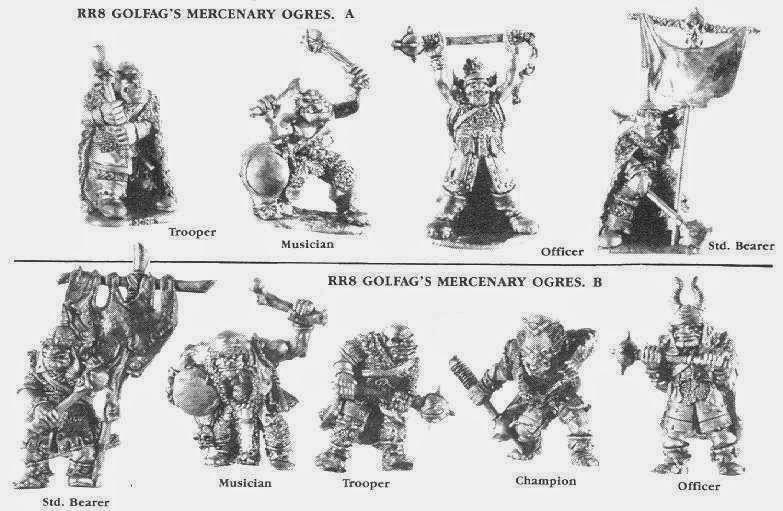 The Army is made up of Demon World Orcs entirely. This army has been painted for a very long time. I just realized that the basing was not complete. I finish the bases and sprayed them the other day while cleaning off my painting table. The Blade, I have photographed before but have re-based onto 20mm to better facilitate the two-handed swords. Crazy Female Orcs! Love them...fear them...The Orcs do! Ogre leader for my Trolls. Needed a couple of stands of Beasts or Behemoths. Rider, Lurkers, or sneakers take your pick. Spiders are way cool but only one per stand fit no matter how I chopped them up. Ah...the leaders I have two Warrior Heros and the Big bad momma Orc.....everyone is scared of her. The wizard and his tower rounds the army out. I built the tower with tubes and masking tape. I figured Orc contruction habbits were not up to regular par, thus the supports. In the hopes of going to HISTORICON this coming summer I asked which army I could paint for the two Davids Campaign that would not affect/tie up/or interfere with the campaign if I did not show. I was told, "round shield carrying Wackos" from the Saxon list. Well here they are! The List is made from all Old Glory Figures. Some packs have been added from the Viking line for Berserkers and variety. I wanted a difference in weapon type as well. The Fearless leader. I went through many aches and pains deciding on the finish to the stands. I really wanted to make them conducting a Littoral landing with water on part of the stand and beach on the other. The narrow 15mm stands made that near to impossible for me. I decided it was going to be cold and snowy...works for me. The North Sea, English Channel, is like that anyway. No particular theme in shield design other then trying hard not to make them look like Vikings. A few Wackos without shields liven up every army just a little. The ever important PS. The only sane guys in the army. Have a much deeper stand for stand off distance and capable of hiding when the mounted come a'calling. Another Waring States Chinese army. Heck, I might build them all eventually. I motivated myself by building the camp first. Not the normal way for me...but I needed the kick in the shorts. The miniatures are all Museum from the Chinese chariot line. Originally, I bought two army packs off ebay. One was Shang and the other a waring states army. The packs...well were DBA 1.1 packs, great. I mixed and matched since I already have a Shang Chinese army. The Chariots barely hang onto the back of the stand. Not an issue really, just inconvenient when making columns. I made the banner in my typical way with paper glued together. The image is from a t-shirt....you figure it out. The Generals Dagger-axe man would not fit in the chariot no matter how much I cut his stand down...he no longer has a stand and is pinned into the base. The Umbrella is made from a stick pin glued to a 28mm Viking Shield with a strip of paper glued around it for he tassels. Worked awesome. No the tassel look is all paint vs. cutting it. OK, well....again mix and match. I was cool with the Dagger-axe men but did not like the Spear guys. I almost stopped painting the army on Friday since I was unhappy. Then the Emperor, me, made a choice. I dictated that the extra Bowmen lay down their bows and pick up spears...They refused. Their were many be-headings that sad day. The heads were removed and re-mounted on the Spearmen's bodies. Guess it was easier to switch heads then weapons. Very normal and uneventful CV and LH. I think I bought the figures from Mike Sanderson at Recruits in MO. The figures are all Essex minus the artillery crew and piece which are Old Glory. I had ART left over from my Armenians from some time ago. Felt like the one piece out in the open was lame so I gave them some defensive terrain. The shooters are what makes this army playable, in my opinion. Otherwise mounted are an issue even with four KN. The General and his host. I went with a blue theme with a splattering of dark red. I was thinking Sarmatian meet Byzantines....anyway its what I went with. I wanted something simple for the shield design. Probably should have been all the same design for an issued item to the troops but I got tired of painting circles....you know how it is sometimes.